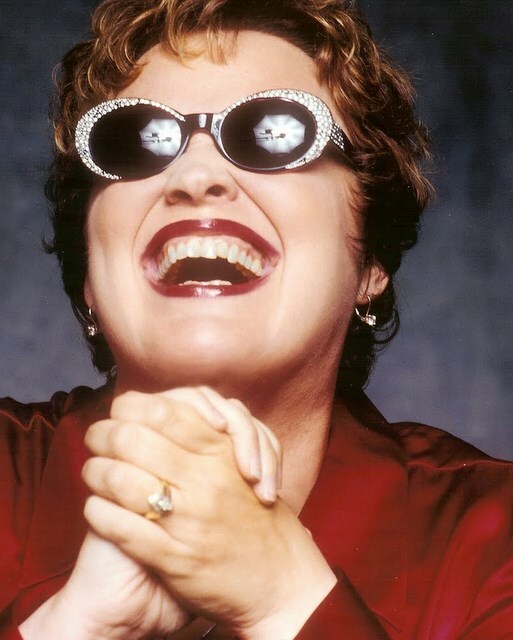 The Side Door Jazz Club in Old Lyme brings vocalist Diane Schuur to the lively night spot for an 8:30 p.m. show. Ms. Schuur is on the road to promote her new CD, "I Remember You: Stan and Frank" (Concord Jazz), released to celebrate her "discovery" 35 years ago at The 1979 Monterey Jazz Festival by Stan Getz (although the bio on her website says her discovery was in 1975). 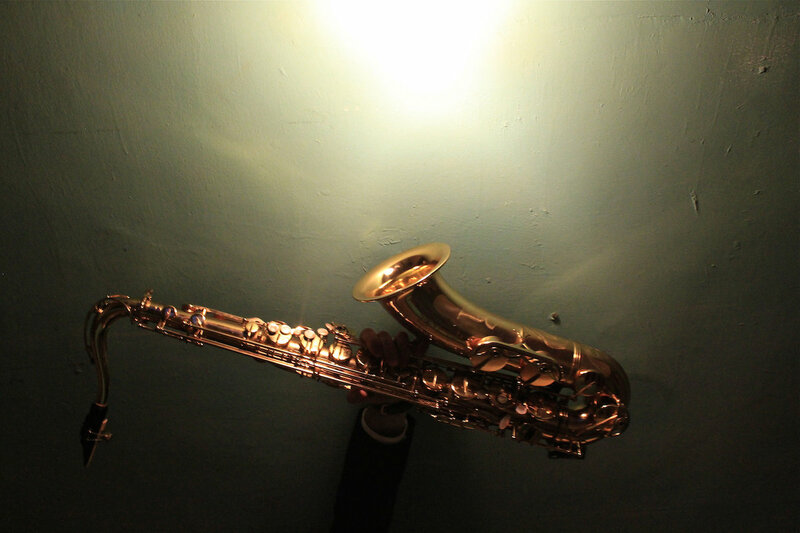 The saxophonist invited to take part in a concert at the website and her career began to take off in earnest. The recording features songs made famous by both Mr. Getz and Frank Sinatra. As for The Side Door gig, it's sold out. There may be a "wait list" so call 860-434-0886 to find out. The Buttonwood Tree in Middletown presents the Jessica Fichot Quartet at 7:30 p.m. Ms. Fichot, a native of upstate New York, was raised in France and creates music in the French "chanson" style. Her mother was born in Shanghai and her daughter has become quite interested in the "jazz/popular music" created in that city in the late 1930s and after World War II leading up to the Communist takeover. The chanteuse plays accordion and toy piano while her band includes Matthas Alvear (acoustic bass), Alex Miller (guitar), and Sylvain Carton (clarinet, saxophone). Her most recent CD, "Le Secret", (self-released) came out in 2012 and features original compositions save for a Mandarin Chinese reading of Cher's "Bang Bang." To make reservations, call 860-347-4957 or go to www.buttonwood.org. To find out more about Ms. Fichot and her music, go to www.jessicasongs.com. decades. Hinton (1910-2000) was a famous bassist, one of the first African American musicians to break the color barrier in the studios of New York City (playing on thousands of jazz and pop songs as well as advertising jingles). He carried his camera everywhere he played and shot images of many of the jazz artists of the 20th Century. For more information about the exhibition and the concert, go to artgallery.yale.edu/calendar/events/performance-live-jazz-jazz-lives-1. This Saturday (6/14) is the opening day of the 17th Annual International Festival of Arts & Ideas, 15 days of music, theater, art, performance art, talks, symposia, dance and more, with almost all events taking place on the New Haven Green and venues on the campus of Yale University. 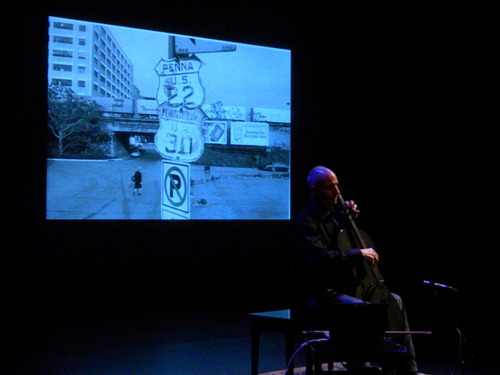 On that first day, Erik Friedlander will present "Block Ice and Propane", a program of solo cello music accompanied by photographs by the elder Friedlander and short films by Bill Morrison. When the cellist was a young boy, his father would pack the family into the camper and drive around the United States. 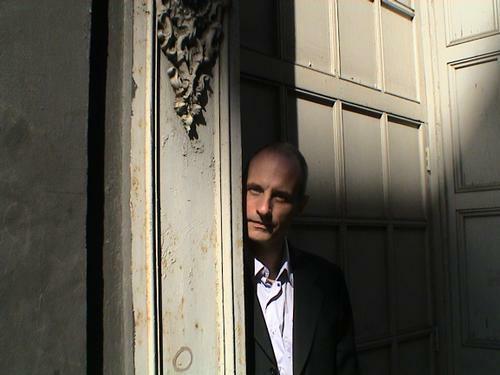 In 2007, Erik Friedlander released a CD (the same name as the program) made up of solo cello pieces that evoked the places where the family traveled and the many sights they took in. The recording is filled with wonderfully vivid melodies and the cellist built the multi-media performance from his memories of those summer sojourns. The concert takes place at 1 p.m. in the Iseman Theater, 1156 Chapel Street - for ticket information, go to artidea.org/erikfriedlander. Spectrum in Motion is a dance company that started in 1982 as vehicle for artists in the Pioneer Valley of Massachusetts to work together and continue developing their craft. In 2003, the artistic director, Olivia Sabualo Ilano-Davis began a program at the Charter Oak Cultural Center in Hartford to work with young people not only to teach the art and the craft of dance but also to learn to work as a team, to come together in creativity. The company is holding a fund-raising concert on Thursday - "Solos & Duets 2014" - at 7 p.m. in the Asylum Hill Congregational Church, 814 Asylum Avenue in Hartford. Saxophonist Charles Neville (pictured above left) is the headliner - Mr. Neville, who is the only member of The Neville Brothers to live outside of their hometown of New Orleans, will perform with, at various times, vocalist Samirah Evans, cornetist Stephen Haynes, pianist Dan Campolieta, and vocalist Steve Mitchell. For ticket information and more, go to www.brownpapertickets.com/event/609508EVENTPAGE. Father's day is just around the corner (6/15) and drummer/producer Denardo Coleman has organized a concert to take place at 7 p.m. at the Prospect Park Bandshell in Brooklyn. 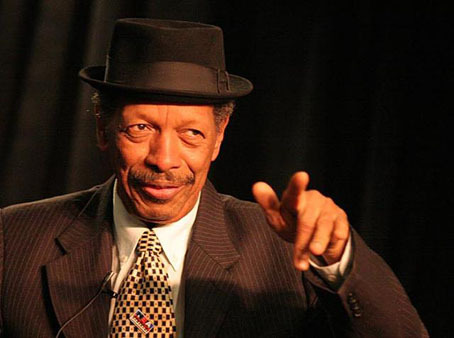 The concert is "Celebrate Ornette: The Music of Ornette Coleman featuring Denardo Coleman Vibe." Denardo's dad, Ornette (pictured left), first put his son to work at the age of 10 (for which numerous critics took him to task) and they have worked together many times since then. Music will be provided by the drummer with bassists Tony Falanga and Al McDowell plus Charles Ellerbe (guitar) and Antoine Roney (saxophone). Among the guest musicians will be Laurie Anderson, Bill Laswell, Bruce Hornsby, Flea, Patti Smith, Joe Lovano, David Murray, Henry Threadgill, Ravi Coltrane, Geri Allen, Thurston Moore, and Bachir Attar & The Master Musicians of Jajouka plus more to be announced. The concert, free and open to the public, is part of the summer-long Celebrate Brooklyn festivities and in honor of Blue Note Record's 75 Anniversary month. For more information, go to www.prospectpark.org/calendar/event/celebrate-brooklyn-2014 or bricartsmedia.org/events/performing-arts/celebrate-ornette-the-music-of-ornette-coleman-featuring-denardo-coleman-vibe. The Firehouse 12 Spring 2014 Concert Series comes to its ultimate performance this week with the first New Haven performance of the Satoko Fujii Trio + 1. Ms. Fujii, a native of Tokyo, Japan, came to the US in 1985 to study at the Berklee School of Music. She then returned home in 1987 but came to Boston to get her Master's Degree at the New England Conservatory of Music. She studied with George Russell, Cecil McBee and Paul Bley. It was Mr. Bley who appeared on her 1996 debut album. Since then, Ms. Fujii has released over 70 recordings with numerous ensembles including 4 different big bands, several groups with her trumpeter/husband Natsuki Tamura, trios with drummer Jim Black and bassist Mark Dresser, and a memorable duo disk with pianist Myra Melford. This new Trio features bassist Todd Nicholson and drummer Yoshi Shutto, adding the trumpet of Kappa Maki. Her music is often fluid blend of long melodic lines, frantic improvisations, soft passages leading to striking climaxes and more. Adventurous music that goes in many and, often, surprising directions, the 4 musicians will play 2 sets - 8:30 and 10 p.m. - for more information, go to firehouse12.com or call 203-785-0468. Trumpeter Pharez Whitted, who has worked with artists such as Elvin Jones, George Duke, Branford & Wynton Marsalis, and John Mellencamp (among many others), returns to The Side Door Jazz Club for an 8:30 p.m. performance. Whitted, currently Director of Jazz Studies at Chicago State University, was one of the first artists to play the Old Lyme performance space upon its opening in Spring 2013. His music blends hard-bop jazz of the 1960s with rhythm 'n' blues influences and can swing with great gusto. For this gig, Whitted is bringing a Quartet. Doors open at 7:30 - for more information, go to thesidedoorjazz.com. Guitarist and Hartford native Sean Clapis is performing a free concert at 2 p.m. in the cozy confines of Integrity 'n' Music, 506 Silas Deane Highway (rear) in Wethersfield. Featured in his Trio are Jocelyn Pleasant (drums) and Ben Thomas (bass). Integrity owner Ed Krech presents, on average, 3 concerts a month in the space and is a great supporter of local musicians as well as a huge fan of traditional New Orleans music (which is usually what's playing when you walk into the store). For more information, call 860-563-4005. The Side Door Jazz Club presents vocalist/composer Sarah Elizabeth Charles and her Quartet at 8:30 p.m. Ms. Charles, a native of Springfield, Massachusetts, was first exposed to jazz at the Community Music School in her home city. She studied in New York City, earning degrees at the New School and Eugene Lang College. She's performed alongside Jimmy Owens, Sheila Jordan, Dr. Billy Taylor, Geri Allen and many others. Her 2012 debut, "Red" (Truth Revolution Records), featured standards, originals, and pieces built from Haitian folkloric tunes. The Quartet features Jesse Elder (piano), Rahsaan Carter (bass) and, as of this moment, there's no listing of who's playing drums. For more information about Ms. Charles and her music, go to sarahelizabethcharles.com. For tickets, call 860-434-0886 or go to thesidedoorjazz.com. 4 years ago, I reviewed the debut EP from saxophonist/composer Johnny Butler and really liked it, not only for its musicality but also for the risks the musician took with his music (read the review here.) Well, he's back and raised the bar a bit higher. His new EP, "Raise It Up," (self-released) finds Butler on tenor and baritone saxophones plus clarinet and a drummer (Kassa Overall) on all 7 tracks and bassist Aidan Carroll on 3 tracks. Alto saxophonist JJ Byars appears on one track. Each track has samples galore, all contain vocals (certainly sampled), there are some serious grooves you can dance to, and it sounds darned good really loud. There's a splendid hip hop take on "Jive Talking" (yes, the Bee Gees tune) with a strong (uncredited) rap and a solid dose of "Philly Soul" on "I Believe in You (Do You Believe in Me)." "Raise It Up" is a glorious mash of styles, sounds and soul music, not so much a display of technical prowess as it shows what a strong producer/arranger Johnny Butler is becoming. Go to www,johnnybutler.com and check out his music as well as his videos.